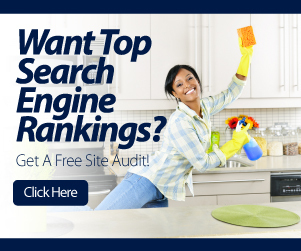 When growing your cleaning business, Cleaning SEO goes the extra mile to deliver desirable results for your cleaning business. Our team of highly trained SEO specialists take the time to understand your needs, whether you plan to start a cleaning business or grow a cleaning business. We make efforts to know your objectives and target market so our company can determine the most suitable online platform for increased visibility and rankings. Our online marketing solutions offer many benefits that will take your business into higher levels. With great expertise, we will incorporate these benefits into campaigns. All you need to do is list your objectives so our team can map the right campaign and deliver all your goals accordingly. We can also provide additional resources and support so you can better understand the ins and outs of search marketing. With our assistance, you won’t have any trouble determining the right course of action for your cleaning business. Creating your brand works on a two-way process. At Cleaning SEO, we can help set how you want to feature your brand for your target market. You can give us specific details or unique selling points we can highlight for your site’s performance. You may also recommend keywords you want us to include in your campaigns in order to grow your cleaning business at rapid rates. At Cleaning SEO, the focus of our service is you. We are always ready to listen to whatever you want for your cleaning business. All you need to do is establish the outcomes you want to achieve so we can help you make well-informed decisions. We can also provide comprehensive analyses and statistics to determine how effective your site is working on your selected market.